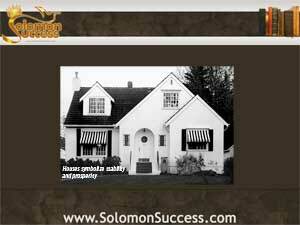 Solomon Success > Blog > Rising Home Prices: An Economic Upswing? “Wisdom hath built herself a house,” says the wise King Solomon in his Book of Proverbs 9:1. Throughout this collection of the King’s teachings, houses are associated with stability, wisdom and prosperity. For those of Solomon’s day, as today, the state of housing can reveal the state of a nation. Current economic indicators show that the US housing market appears to be improving – and one indicator of this upswing is the rising prices of existing homes for sale in major markets across the country. Yet, although mortgage interest rates are at an all time low, it’s harder to qualify for a mortgage now than in the five previous years. What are the implications of these contradictory indicators for income property investment? After the initial housing crisis hit, the flood of foreclosures slowed to a trickle as lenders and the courts processed the backlog of pending cases, picking up as those cases cleared and the houses involved were listed for sale. But now, that source of low cost properties is finally drying up. Tighter lending standards and more programs to support homeowners in trouble are shrinking the number of low cost properties available to homebuyers of all kinds. According to Inman News, the national median price for existing homes has risen by more than 10 percent compared to just a year ago. And this is the longest streak of rising prices since 2006. These trends may be linked to another phenomenon of the emerging hosing recovery: rising rents and lower rental vacancies in a number of markets around the country.